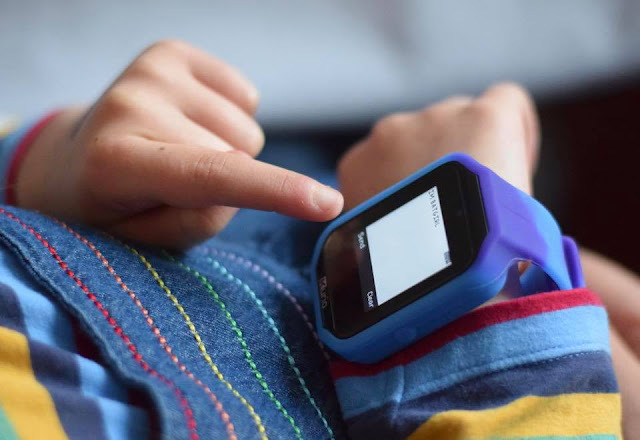 The Kurio Smartwatch 2.0 is the latest wearable tech to hit the market for children aged six and above. 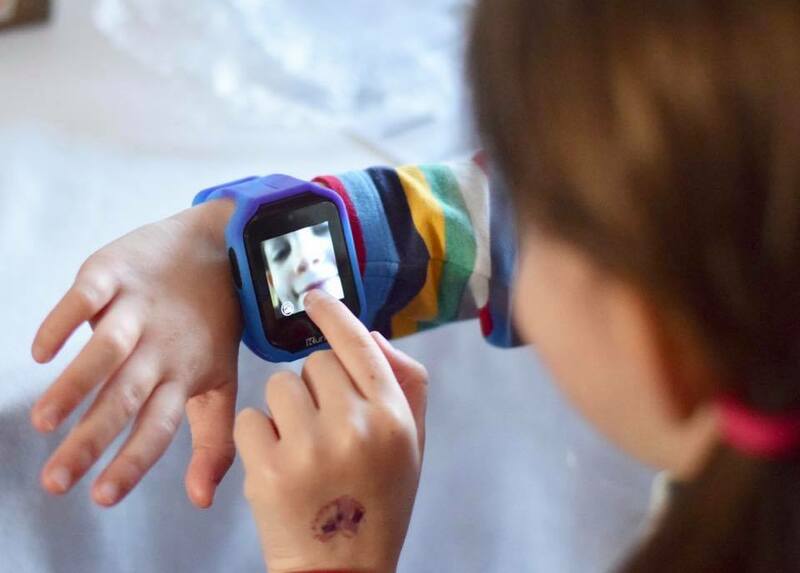 It's the ultimate smartwatch for tech-loving kids and has a whole host of features to entertain them. 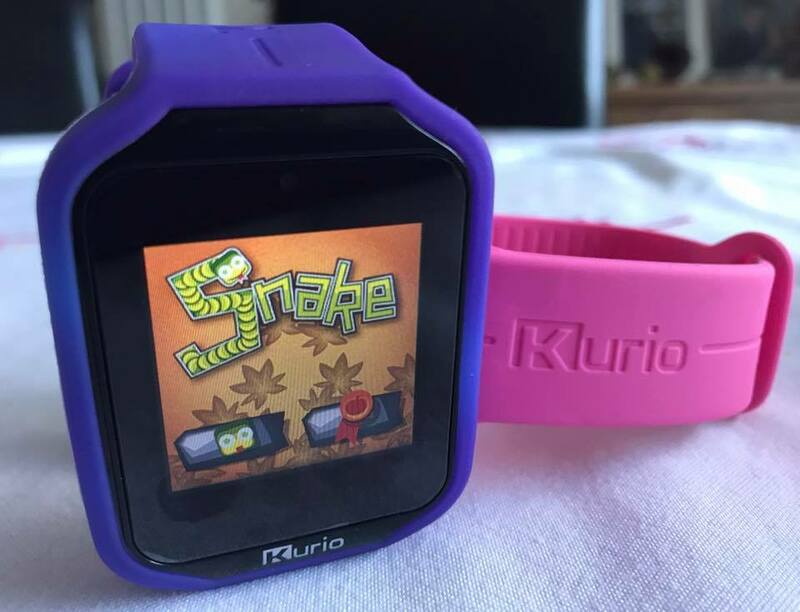 My six-year-old was delighted to be sent her very own Kurio Watch 2.0 to try out and review. 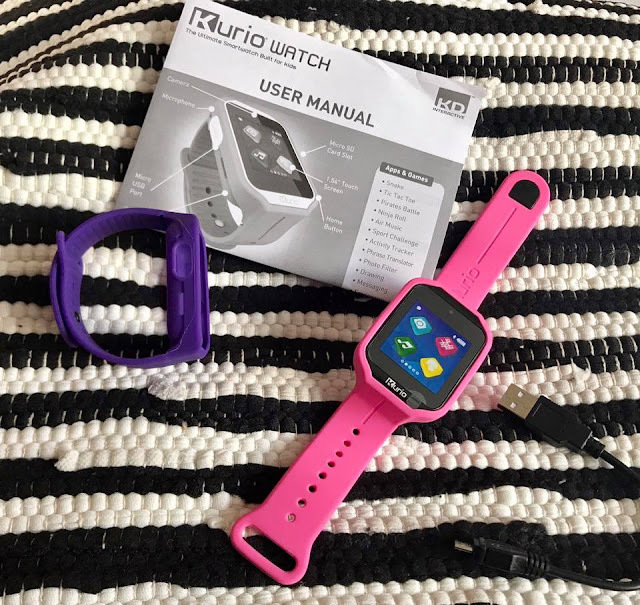 We opened up the packaging to find the Kurio 2.0 watch pebble unit with splash proof and scratch resistant screen, one pink strap and one purple colour changing strap, an instruction booklet and a micro USB charging cable. 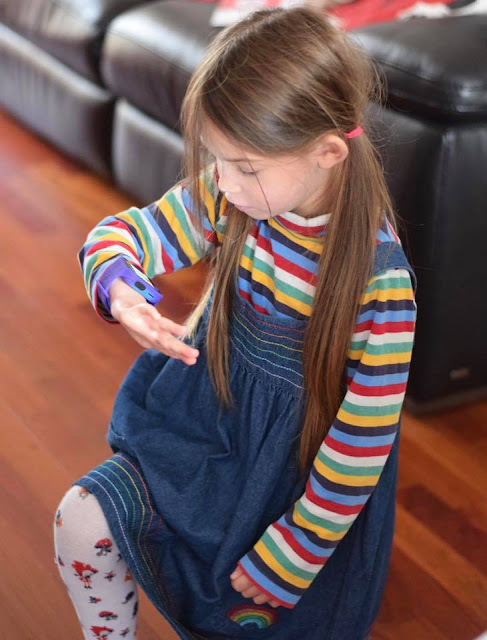 Elizabeth loved the idea of the colour changing strap (that turns blue when exposed to heat such as body temperature) so chose that one to wear and couldn't wait to get it on her wrist! The user manual does recommend a 3 hour charge before first use so if you are buying this for Christmas, it may be worth sneaking it out of the packing and charging the night before wrapping so it's ready for play on Christmas morning! Also worth being aware that you will need your own USB plug as there isn't one included in the packaging, most households have a few of those these days. The Kurio watch is packed with features including: 20 pre-loaded apps; a multi-function screen; selfie camera and video; photo filters; calender; messaging; media player; activity tracker; phrase translator; calculator and Bluetooth compatibility. The watch has 256mb of internal memory and you can add a micro SD card to expand the storage up to 32GB. 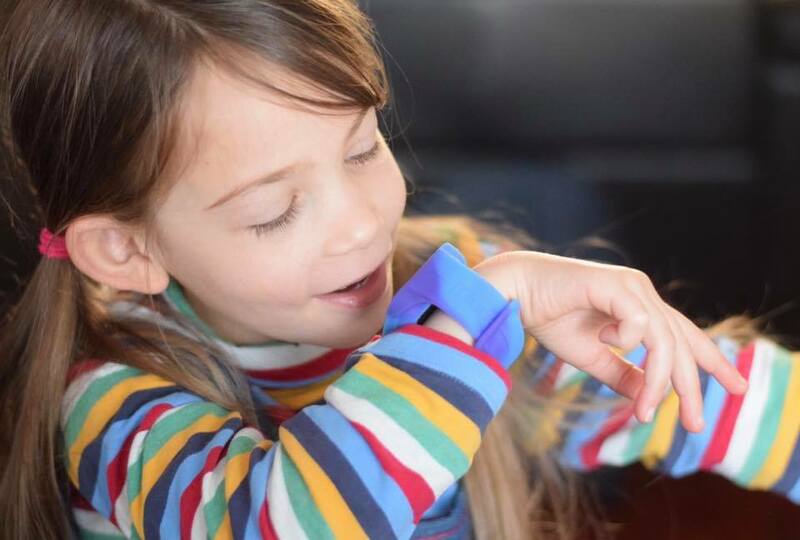 The set up of the watch was easy to do and only took a few minutes, my 6-year-old did need some adult assistance but I think many kids of this age would be ok on their own. As the screen is designed for little fingers, I found it easier to use a stylus rather than my chunky grown up sized fingers for this. We entered Elizabeth's name and birthday, the date and time and also had the option to add 'In Case of Emergency' (I.C.E.) information. It was then time for Elizabeth to choose the theme from a choice of many colourful options and it was no surprise to me that she chose hearts on a pink background! Even though it boasts an array of features, the watch does of course function as a watch first and foremost and I was impressed that it had a choice of both digital and analogue display watch faces to choose from. As Elizabeth has recently learnt to tell the time, she chose a pink candy analogue watch face to help her practice. 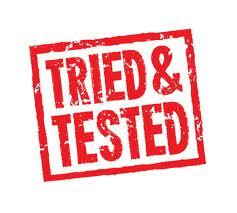 The first feature that she was keen to test out was the messaging. 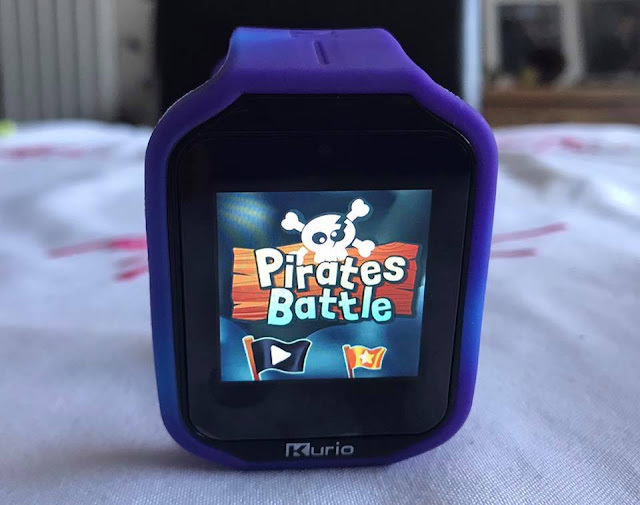 This utilises the Bluetooth function and if you know a friend who also has a Kurio watch you can pair them up and exchange messages and pictures and play 2 player games. Even without another Kurio watch, you can link it up to an android device to chat and even use the watch as a hands free kit to make and receive calls. I have an iPhone and unfortunately, the Bluetooth on the watch will only pair up with an Android device so we paired it up with Daddy's phone. 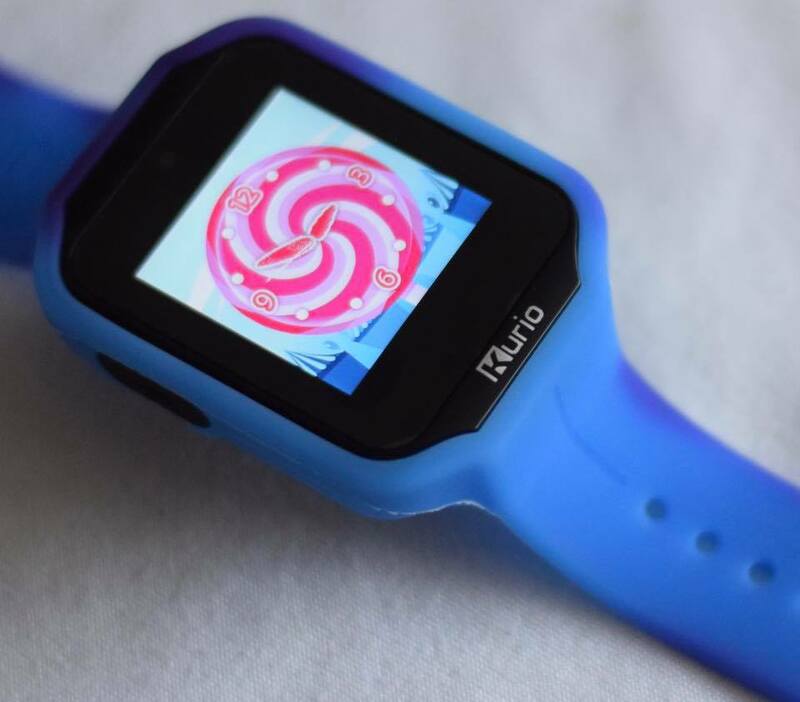 This was really simple to do by downloading a free Kurio Watch Messanger app from the Google Play store and connecting the two devises on Bluetooth. Both Elizabeth and Daddy had lots of fun exchanging photos and messages and even made a phone call to me from the Kurio phone which left Elizabeth in awe as Mummy was talking to her in her watch! 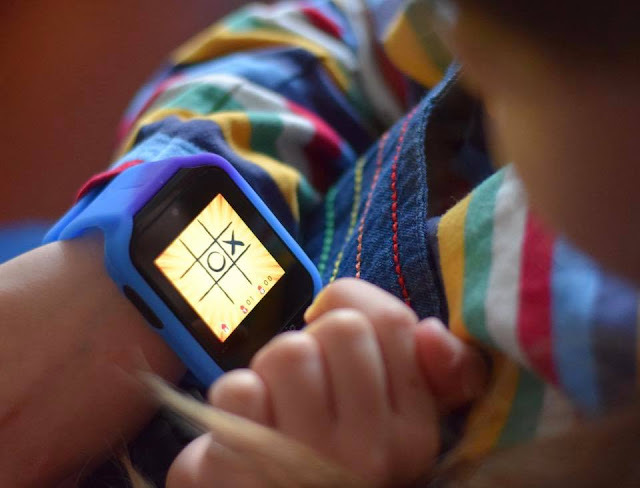 The watch has over 20 pre-installed games and apps including Tic Tac Toe, Battleships, drawing, photo editing, voice translator and many more! These came in really handy over the weekend when we were at Alton Towers theme park and queuing for rides, Elizabeth was fully entertained by her watch and didn't moan about waiting around once! As well as old favourites, there are also a number of motion detection games and apps that use the built-in accelerometer, including Snake, Ninja roll, activity tracker, Sport Challenge, Air play (this is a super cool air guitar app that Elizabeth loves) and lots more. These are great for getting children moving about while using tech and encourage exercise that's fun to do! I am often found with a camera in my hand and I believe that my six-year-old daughter has inherited my love of photography. She is always asking to borrow my phone to take photos and has even had a few goes with my DSLR that didn't turn out bad at all. 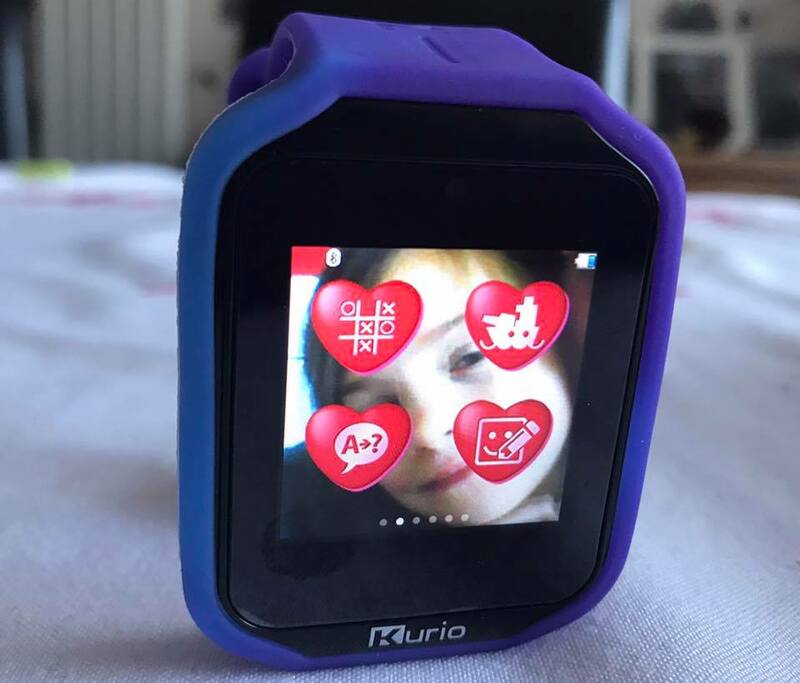 True to the younger generation though, she does love a good selfie and was delighted to discover the selfie camera on the Kurio Watch. I was a little disappointed myself as the photo quality isn't great but Elizabeth didn't care at all, she loved the freedom of having her own camera and posing for as many selfies as she wanted! She even recorded herself filming a 'youtube' style introduction... I may have to get her, her own youtube channel soon! There are a great selection of photo effects and frames to choose from too and you can also set a photo as the background on the watch. If there is one thing my six-year-old loves, it's music, especially dancing to it! She's already building up quite a music selection and is a big Strictly fan! It didn't take her long to find the music player on the watch and she was soon bopping away to some tunes. The music player app comes pre-installed with some basic songs but you can add more using a micro SD card or by connecting the watch up to your PC or MAC with the USB cable where you can transfer music, video and photos. Overall I'm really impressed with the Kurio Watch 2.0. It's jam-packed with features that are aimed at exactly the right level for its target audience of six to ten year olds. (Although I'd say especially six to eight-year-olds) They get a really well thought out piece of technology that looks grown up, yet is still fun and safe for them to use and doesn't need a smartphone or other device to function. It's a good size and Elizabeth has worn it most of the weekend without it being uncomfortable on her wrist. It seems really sturdy and even after being dropped a few times on a wooden floor when we were setting it up, didn't show any damage at all. The watch was ideal for Elizabeth on our day out yesterday, not just for playing games in theme park queues but also for keeping entertained on a long car journey and warming up with the Sport Challenge app while we were waiting in the cold for the park to open. It's much less cumbersome than carrying around a tablet or portable console and the battery lasted for most of the day! I would love to see an app released for IOS as well as Android, and it would be great for it to have the option of installing more apps as I see that after a while some children may get bored of the same choices. However I do think that this is amazing value for money and offers so much more than just a watch with some games. The Kurio Watch gets a big thumbs up from both myself and Elizabeth! The Kurio Watch 2.0 smartwatch is also available with red and blue straps and retails at £79.99. It is available from a number of retailers including Amazon, Smyth's Toys and Toys R Us. If you shop around at the moment there are some great offers available. 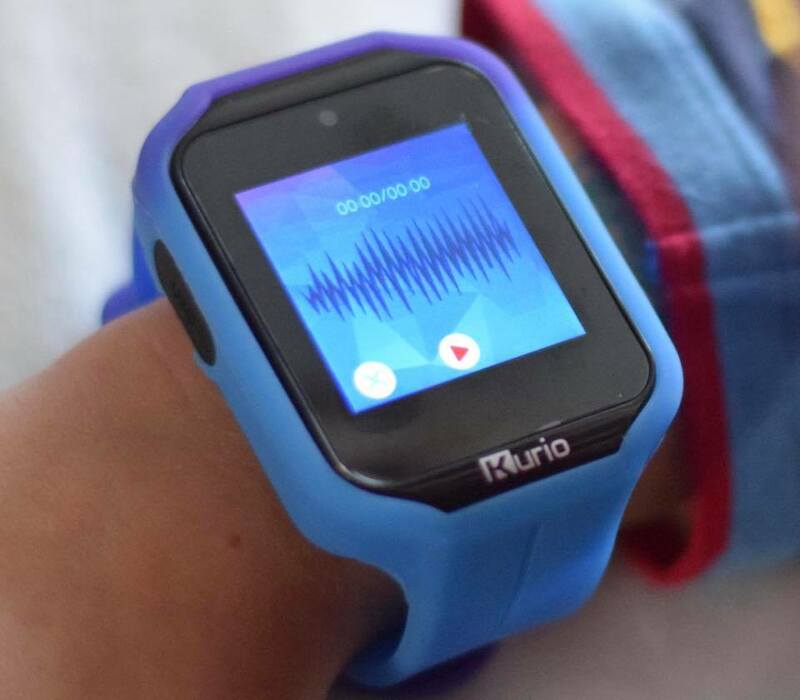 We were sent a Kurio Watch 2.0 for the purpose of review. All thoughts and opinions are our own. The post contains affliate links.